But, for me the key difference here is I see no mention of TRR, or even Buzzsaw's identified safety issues from the audit. Oversight by the journo, do you think? I was all geared up for the shot-game for the inevitable "this comes just weeks after an incident on the Thunder River Rapids ride where..". The rest of the media remembered to mention it. 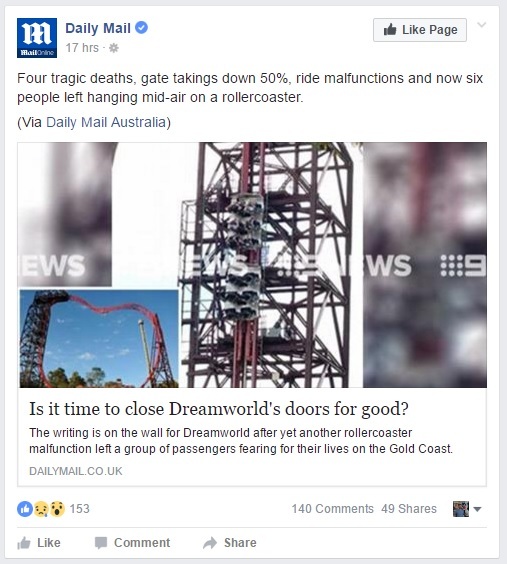 I think the interesting thing is Dreamworld made a statement about it on Facebook to hide down the hype. Seems to have done the trick too. Yes, I must say The Age has reported on this very sensibly and factually. even outlining the simplest things that can trigger a sensor failure in detail. possibly a turning tide? but probably not. 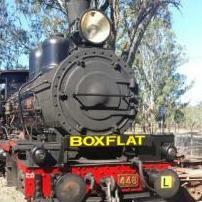 I'm just on my way home from Dreamworld now. Buzzsaw was closed for quite awhile but my friend and I were on it as soon as it reopened. I didn't even know something was going on until we saw the channel 9 news truck while on the ride. There were at least 3 other cars with filming equipment parked at the front and a guy stopped us and asked if we were on the ride when it got stuck - or if we even had photos or videos of it while stopped. 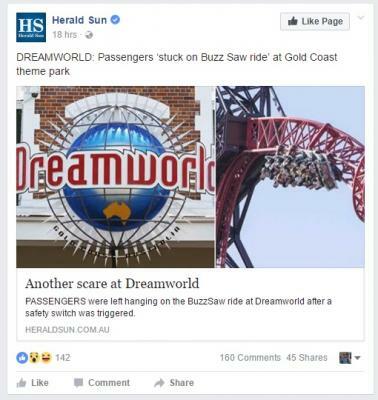 The vultures are out to swoop down on Dreamworld again. 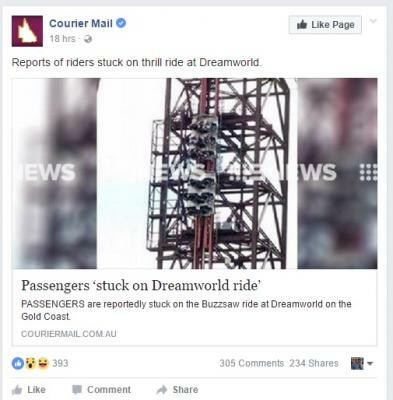 Unless its an announcement report about a new ride. Answer "yes, I believe it was a failure of the flux capacitor" or similar and see if it gets printed. except by the time the media publishes those sorts of articles, we've already been talking about it for a week. Channel 9 and 7 news are still outside the park ? Lol. 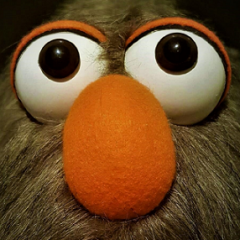 Skipping dinner to do live news coverage of a non-event. Jokes on them ??? 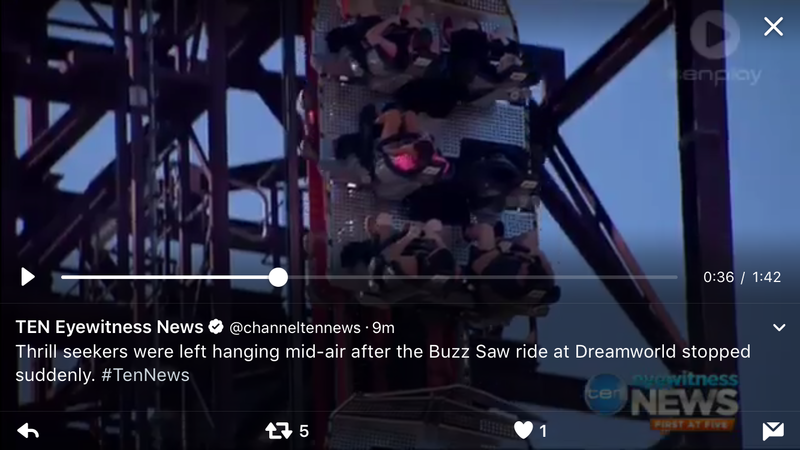 The video on the news (channel 10 anyway) is of the second cycle of the ride after reopening. My friend and I are sitting in front of the guy in pink! 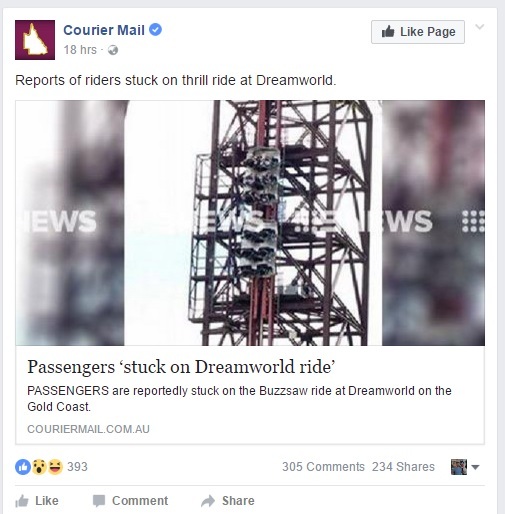 I just think the vast majority of people don't get scared about getting stuck on a ride, unless it's upside down or something. I doubt it would stop anyone from riding. And the responses from the park's PR people are getting much better - really explaining the technical issues relating to things such as sensors and fail-safe mechanisms. They're definitely getting that spiel down pat (and of course it's all true - not spin). *sigh*......it's basically major news. All over FB this morning. Why am I not surprised. 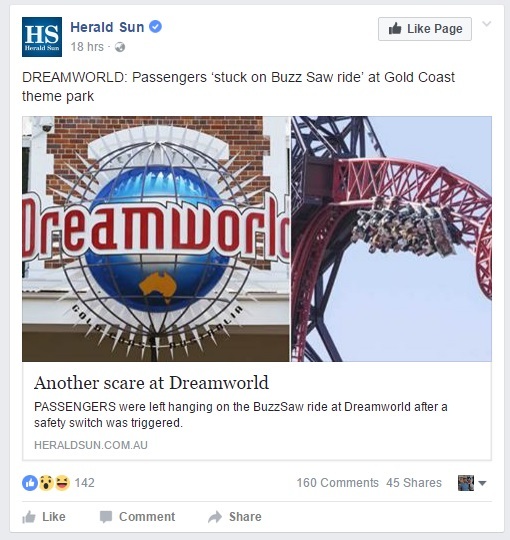 I love the juxtaposition of the Buzzsaw photo used for the Herald Sun one - implies that they were stuck upside down. 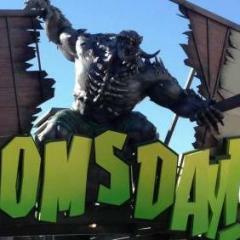 Disappointed that Nine News was on the scaremongering wagon after the nice piece they did for green lantern. Why is the future of DW in doubt. What the hell. No it isn't. It's fine. It's safe. The ride it's job. The media need to piss off. Imagine if the media ACTUALLY did its job for once and report on things without sensationalism and hyperbole, what a world that would be? Guess it's easier/more profitable to stretch the truth to the point of breaking just for more clicks and ad revenue. "In what turned out to be a rather disheartening social experiment, the Russian news site City Reporter only reported good news to its readers for an entire day. The site brought positive news stories to the front of its pages and found any and all silver linings in negative stories (“No disruption on the roads despite snow,” for example). The result was a smorgasbord of sunshine, lollipops, and rainbows—that absolutely no one wanted to read. The City Reporter lost two-thirds of its normal readership that day, according to a post by one of the editors on Facebook." "The researchers present their experiment as solid evidence of a so called "negativity bias", psychologists' term for our collective hunger to hear, and remember bad news. It isn't just schadenfreude, the theory goes, but that we've evolved to react quickly to potential threats. Bad news could be a signal that we need to change what we're doing to avoid danger. There's another interpretation that Trussler and Soroka put on their evidence: we pay attention to bad news, because on the whole, we think the world is rosier than it actually is. When it comes to our own lives, most of us believe we're better than average, and that, like the clichés, we expect things to be all right in the end. This pleasant view of the world makes bad news all the more surprising and salient. 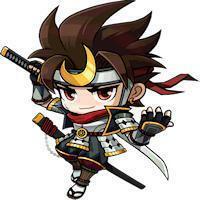 It is only against a light background that the dark spots are highlighted." 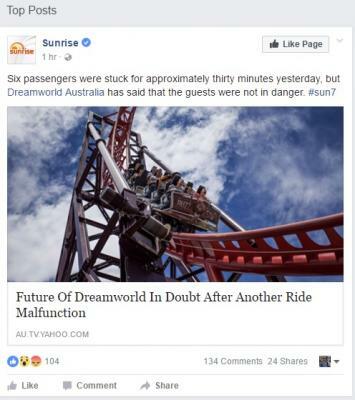 My favourite headline was "Future Of Dreamworld in doubt" and "Is it time to close Dreamworld for good?". 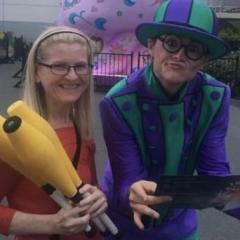 I was watching the Today show this morning and they were doing like a interview or something with this person (Probably knows nothing about Theme Parks). 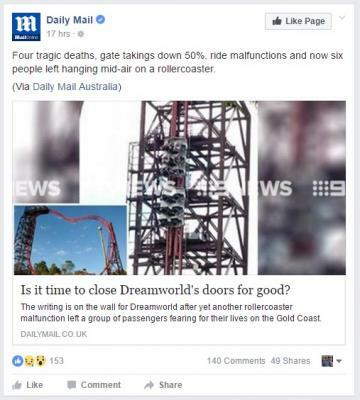 She said that Dreamworld's response wasn't enough. She was talking like there was something wrong with the BuzzSaw. What can you expect though. 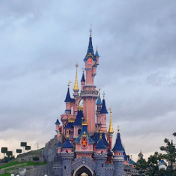 Time it's the exact same with all our Themeparks... Anything can Happend at Anytime. It's not all just a Dreamworld for example, one I was on Wild West Dallas and the chain on the first Lift hill came off! And I have been stuck on supermans launch, and Scooby elecator. It's not all just a Dreamworld for example, one I was on Wild West Dallas and the chain on the first Lift hill came off! I never realised there was a Wild West ride in Dallas... but it is Texas, so 'wild west' perhaps was an era, not a ride - but then how would you be on it? As far as I'm aware, the only other RIDE that is a wild west falls ride, is Rio Bravo.